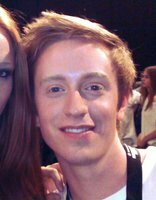 I'm a 20year old freelance designer who will start his industrial design studies at the FH Potsdam in Germany in October 2010. This page is about my LB ARON concept which is a two-seated sportscar based on the Audi R8. Actually the car is not finished because the whole interior is missing.. I am not sure whether it gets an interior in the near future so.. why not sharing it right now?